Looking For A Team That Will Be There For You? Look No Further. Detroit Wrecker Is On Point! We have the know-how and the dedication to be there for you when you need us most. We are the team that will bring you the biggest, strongest and most innovative company in the industry. 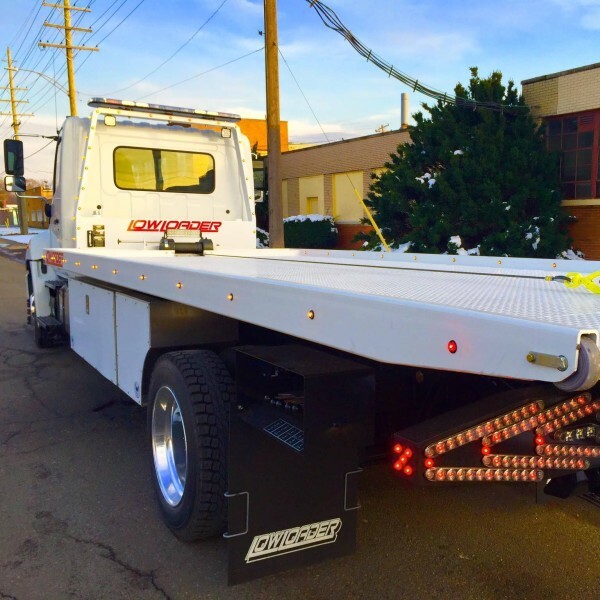 Rollback / Flatbed – Rollback Tow Trucks, also called Car Carriers or Flatbeds, are tow trucks sporting a flat deck behind the cab where a car or vehicle can sit on its own four wheels and ride on the flat surface of the back of the tow truck. The vehicle is secured with chains and/or wheel straps to keep it from moving during transit. Most Rollbacks also have an additional under-body wheel lift of some sort, to allow the option of transporting a second recovered vehicle. The Trucks – Light duty trucks are for smaller jobs, like regular cars and small pickup trucks. These kinds of trucks have a GVWR of 10,000 to 14,000 pounds, and are ideal for towing passenger cars and small pickup trucks. Total towing weight range is around 7,000 pounds. Medium duty trucks can carry larger vehicles like box trucks and buses. They have a GVWR rating of 14,001 to 26,000 pounds and up, and a towing capacity of up to 17,000 pounds, for towing two cars, or a larger vehicle like a limousine or passenger van. Heavy duty trucks are for industrial work and carrying other tow trucks and large vehicles. These trucks have a GVWR of over 26,000 pounds, and are designed to tow the largest vehicles, other tow trucks, construction equipment, and other extra large loads. The Specs – Gross Vehicle Weight Rating is specified by the manufacturer and is the rating for the total weight the vehicle can handle, including the truck’s own weight, all trailers and all passengers and cargo. 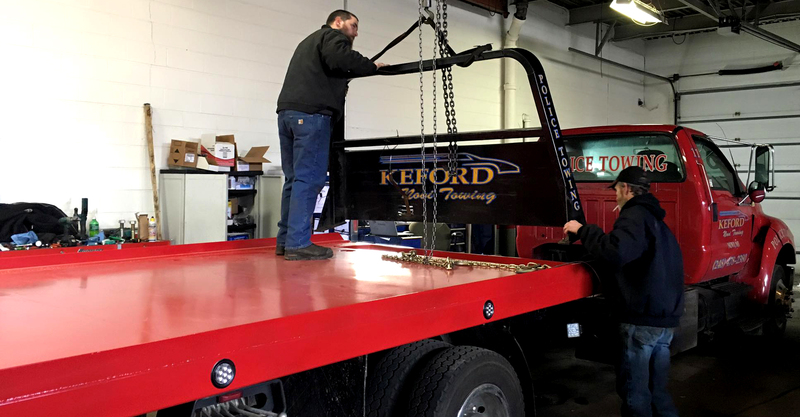 Detroit Wrecker’s Signature Low Loader is extremely powerful, and we will only install it on heavy duty rated trucks, because of its massive construction, wide reach, and extreme towing capacity. For the Low Loader, we require trucks with a GVWR of no less than 26,000 pounds. The Low Loader deck is rated at 20,000 pounds, so it needs a truck that can support its strength. We also require a cab-to-axle length of 126 inches at the very least. (Link to Recommended Chassis) We recommend a few trucks for the Low Loader, and the most popular are the Hino 258, Ford F-650 or F-750, Freightliner M2, as well as International, Kenworth and Peterbilt. The Superpowers – Regular flatbeds can carry cars and other vehicles safely, but they can’t get down to the low angle that our Low Loader can. Operators of traditional roll back carriers have to improvise. Sometimes they will build temporary ramps out of wood planks to load a sports car, to try to get the vehicle loaded without damaging the low-slung bumper or under-body. The Low Loader can get down lower than any other American built carrier! It loads the lowest-slung vehicles with ease and grace. Whether the vehicle was lowered, or came low, the Low Loader can retrieve it without touching anything other than the tires. Lowered cars and trucks, sports cars, or other specialty vehicles like Lamborghinis or Ferraris? No problem.